Aston Villa had a pretty rocky month in September but two great victories at the end of the month in the Carabao Cup against Fulham (premier league opposition) and against Sheffield United in the league. Add to all of this the announcement that Brexit will happen at the end of season, it makes it even more imperative that Villa get promoted due to the possible ramifications that Brexit might involve. Well it was a month that started poorly but finished well. The defeat against Blackburn wasn’t just poor but deserved. Blackburn played fantastically well all game, Villa who had a pretty settled starting XI finally showed a touch of complacency in this defeat which led Arsene Wenger to critisize the team for the first time. We are missing something in defence said a clearly frustrated Wenger. We will rectify this in the next couple of games. Aston Villa then played host to Swansea in a absolute humdinger of a match. It was end to end as Villa took the lead twice but a plucky Swansea side were never out of the game. There were several changes to the team. Scott Hogan came in for Kodjia (who reminded Wenger what he could do, scoring the penalty in which he won.) Hogan scored within 5 minutes. Richards moved to central defence with Tuanzebe and Elmohamedy took the right back role and it worked well. The classic matches kept coming as Villa drew 3-3 with Q.P.R and again neither side didn’t deserve to lose. Tammy Abraham and Harry McKirdy are getting a lot of plaudits at the moment, but it was Jonathon Kodjia who set up all three goals. Q.P.R are in a false position at the moment and showed the true quality of a team who will be challenging come the end of the season. So Kodjia was having a very good month as he had already scored two and set three up as the Villans prepared to go to Craven Cottage for the Carabao Cup Round 4. Villa lost to Fulham in the playoff final last season and apparently Wenger played them a replay of that game the day before this match. For some it wouldn’t have mattered but there are young players that would care. Wenger declared this a must win game and Joe Allen was dropped with John McGinn partnering Harry McKirdy. It was a masterstroke as Villa, playing very attacking and attractive football scored on the 8th minute. The ball was delivered in from the corner and had gone out of play, but the referee who had VAR available to him received a shout from the control room that Kodjia had been pushed. The referee went to look and the penalty was awarded and slotted away by Tammy Abraham. Villa continued to push forward, Hepburn-Murphy (in for Bolasie) caused havoc down the left and got a reward with the second goal. Zinchenko and Kodjia added two more goals to give Villa a 4-1 victory and looked good with Sheffield United(top of the table) upcoming. Wenger named the same starting XI for the Sheffield match. After just 4 minute Hepburn-Murphy hit his head (he is OK) and Bolasie came on and scored in the 20th minute. At half time Hogan entered the fray and he also scored 2-0 Villa. Sheffield United hit back hard through and within 18 minutes it was 3-2 to United. Villa did not give up however and McKirdy picked up a Bolasie through ball to slot home for 3-3. 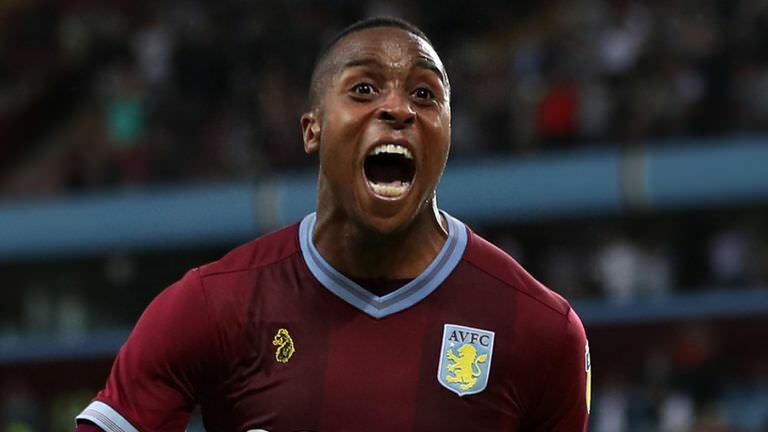 Villa were in the ascendancy and there pressing was rewarded when that man Kodjia latched onto a McKirdy cross to bury it home for 4-3 Villa and kept Sheffield United from making a gap to the rest in the league. Sheffield United remain top of the table despite losing to Villa at the end of the month. For Villa they are there around the playoff zone but will be hoping for something better than the playoffs this season. Blackburn have one of the best defensive records in the league so far just behind Reading, but it is Villa with the best scoring record. In a league where goal difference can mean promotion or playoffs or nothing, Villa will be glad they have one of the best offensive lines in the Championship. What a month for the Ivorian. Four goals, 8 assists and an average rating of 8.10 means that the striker hands down wins the Villa player of the month. Kodjia must have thought Abraham was going to be a lone striker when he came into the club but with Wenger deploying two up top it meant Kodjia had someone to run off and boy has he done that this month! Welcome along to St. Andrews for this second city derby between Birmingham City and Aston Villa. Aston Villa are riding high at the moment in third place following the 5-2 demolition of Hull. The question was would Arsene Wenger name a unchanged side or not. 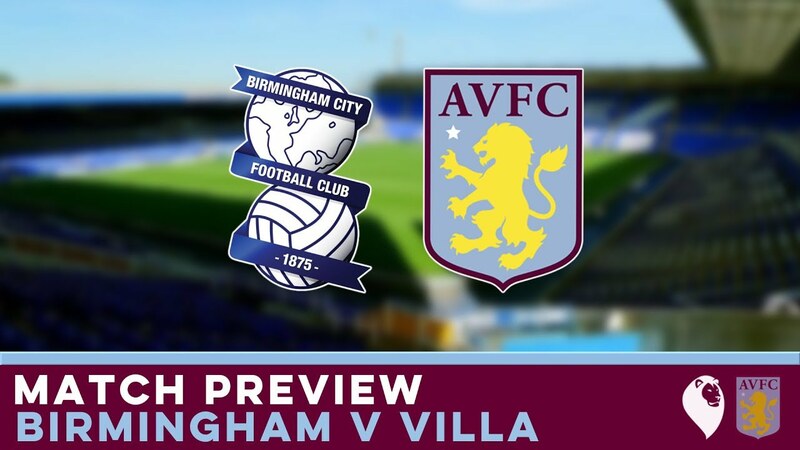 Birmingham City have had a shocking start to the season finding themselves in the relegation zone but that never means anything when these two sides meet in the derby. Aston Villa play there usual 4-2-4 formation under Wenger with Nyland in goal. Taylor, Tuanzebe, Chester and Elmohamedy in defence. McGinn and McKirdy in midfield with Bolasie, Zinchenko playing wide and Abraham and Kodjia up front. Birmingham have Camp in goal. Darikwa, Roberts, Morrison and Pederson in defence. Birmingham have four in midfield in Jota, Gardner, the former Villa player, Lakin and Maghoma. Adams and Jutkiewicz playing upfront for City. 16 mins Villa have got themselves back into it here and McKirdy has the ball, short pass to McGinn, back to McKirdy. McKirdy drives forward, Abraham makes space and receives the ball about 20 yards out, McKirdy has continued his run, great ball from Abraham, McKirdy flicks it inside to Kodjiaaaaaaaaaaaaaaaaaa, hes missed! That is shocking 6 yards out and he missed when it was easier to score. 28 mins Lakin gives the ball away to McKirdy, McKirdy launches it route one towards Bolasie downt he left, great pass from McKirdy! Bolasie gets past one delivers a pinpoint cross…. Goalllllllllll! Textbook header from Kodjia and 1-0 to Villa in the second city derby. 44 mins Villa are still pressing here, the forth official has indicated there will be 4 minutes added one…OMG Villa have scored, I am ever so sorry I have no idea how Kodjia has just got his second either I was so busy looking at the added time and thinking about what Pie I was going to risk eating that I did not see Kodjia score. Here is the replay, so Zinchenko dispossessed Roberts and hit a cross field ball to Elmohamedy who first time crossed onto Kodjia’s head for 2-0 and Birmingham are under the cosh now. 45+3 Villa have not finished yet but its sloppy possession for Birmingham that gives Villa chances. Tuanzebe has dispossessed Jutkiewicz and again route one here from Villa who have done there homework on City, WOW that is horrible defending by Darwikta, he miscontrolled the ball and Abraham is through one on one………. 3-0!!!!! Camp stood no chance as Villa go into the half time 3-0 up. 61 mins Free kick to Birmingham about 30 yards out and this was as Gardner was bought down. Pedersen throws in the cross and its gone in! Jutkiewicz has got a goal back for the home team but surely it is to little too late. 79 mins Villa are still attacking here. Allen on the ball (was on for McGinn. He plays it wide to Taylor, Taylor gets past one and another, OH NO that’s a bad tackle by Morrison, Taylor is still down the players surround the ref, Chester appeared to square up to Morrison there. The ref stops the melee and then chats to his assistant on the right hand side who had a better view of it. The ref calls morrison up and it’s a yellow card. Morrison is very lucky not to see red there. Wenger is incensed but Taylor is getting back to his feet now and hobbles off. His leg could have been broken there but he has got lucky. May I ask what is funny? If September was rocky, then October was a breeze. Undefeated in the Championship and also a Carabao Cup victory on penalties. This month was again dominated by Johnathon Kodjia. The Ivorian over the last couple of months has just hit the net for fun. We also found out that the Brexit negotiating might see a certain amount of foreign players allowed in each squad but not until 25th June 2019. It was a Fantastic Month it was for Villa! 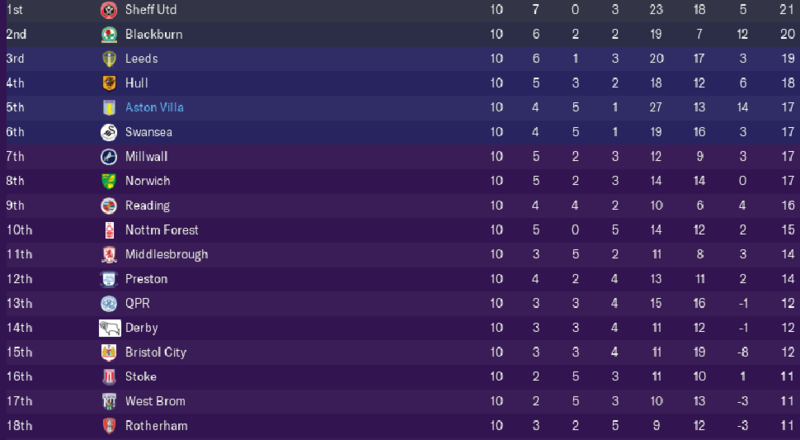 twenty-two goals in six games which included a 5-2 and a 6-1 victory but I want to concentrate on the Carabao Cup match against Crystal Palace first. Villa went into this match in excellent form. 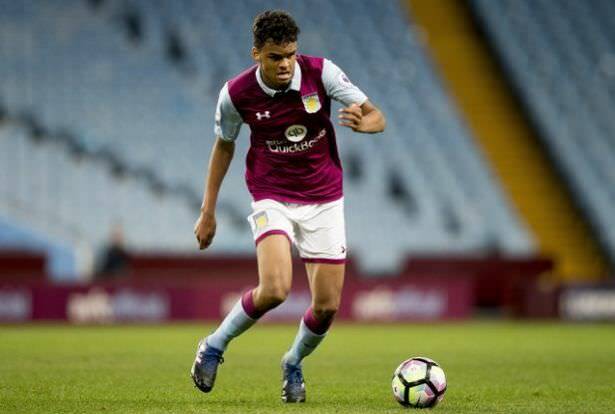 Christian Benteke said he would punish Villa but a young defender called Jacub Bedeau, 18 from London was given the task of man marking the striker. Bedeau put in a man of the match performance and silenced Benteke so much that he was hauled off in the 65th minute. Villa then went on to score a fantastic goal but Palace pegged them back. Villa have demolished every team in there wake this month. Obviously the impressive victory over Birmingham stands out but lets look at Leeds, Millwall and Hull. Three sides in amongst the promotion chances and Villa collectively hit fifteen goals past the three of them. Millwall was special as it was away and Villa were in control from the start of the game. Kodjia got a hattrick and it set up a great result against Crystal Palace. 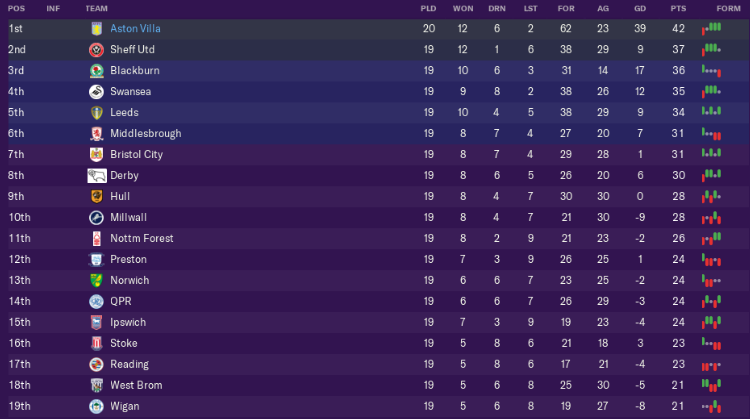 The three inform sides are the three sides at the top of the Championship. Villa have took a huge stride this month moving into second place and breathing down Blackburn’s kneck. Middlesbrough have shot up from 11th, upto 3rd in the league and Sheffield United have dropped down from 1st to 4th. Aston Villa have scored by far the most goals and in comparison haven’t let many in. Johnathon Kodjia and Harry McKirdy both committed there future to Aston Villa this month. Kodjia signed a contract worth £41,000 a week for 5 years. It is hardly surprising as Kodjia has scored so many goals this season. Harry McKirdy however is this season’s surprise package and signed a 3 year deal worth £11,750 a week. McKirdy is now firmly in the Villa side and he will be here to stay. Jack Grealish who? Jonathon Kodjia without doubt wins this award. He starts the season on the bench, but performs so well in training that Arsene Wenger has to work him into the side by changing the formation. Enough Said! 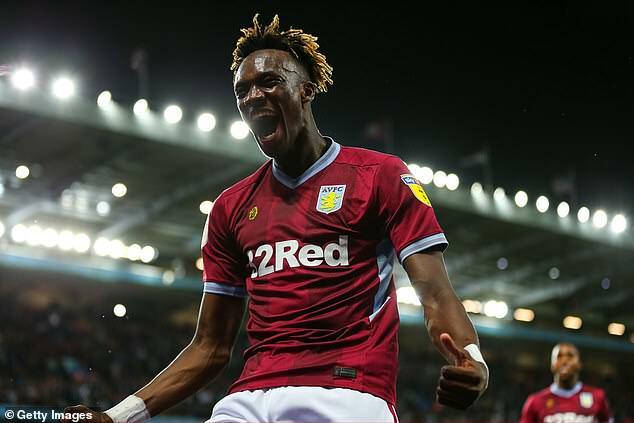 Tammy Abraham has been absolutely immense since the start of the season for Aston Villa. Abraham arrived at Villa Park looking to make an impact after moving down a division to play football. Abraham, an academy graduate of Chelsea, Abraham made his senior debut for the club in 2016 before enjoying loan spells with Championship club Bristol City and fellow Premier League team Swansea City. During his time with the former, he won the club's Player of the Season and Young Player of the Season awards, as well as being their top goalscorer. Formerly an England youth international, Abraham represented the nation from under-18 level, and featured at the 2017 UEFA European Under-21 Championship in Poland. He made his senior debut in November 2017. The Englishman was signed by Chelsea at Under-8 level and showed promise from the day that he was signed. Abraham won the Uefa Youth League and the F.A Youth Cup in 2015 and 2016 respectively. Tammy Abraham pitched in with a return of eight goals in nine matches but it was not enough to win the golden boot as Roberto Nunez of Atletico Madrid won the golden boot. Abraham went on to net the winning goal in the F.A Youth Cup final against Manchester City, winning him the man of the match award too. During the 2014-15 and 2015-16 season Abraham netted an incredible 74 goals in 98 games for the various Chelsea youth teams. Abraham’s form caught the attention of the then interim Chelsea manager Guus Hiddink who invited him to train with the senior team at the end of the 2015-16 season. It was Hiddink that handed Abraham his senior Chelsea debut on 11th May 2016, bringing the youngster on in the 74th minute to replace Bertrand Traore. Abraham then came on a week later for his home debut against then Champions Leicester City. On 5 August 2016, Abraham signed for Championship club Bristol City on a season-long loan from Chelsea. He made his debut for the club the following day, coming off the bench for fellow debutant Josh Brownhill to score City's first goal in a 2–1 come-from-behind win over Wigan Athletic, although the goal was later credited to Hörður Magnússon instead. Abraham started in his second game and scored the only goal of the match in a 1–0 win over Wycombe Wanderers, helping Bristol City advance to the Second Round of the EFL Cup. The following week, on 13 August, he scored his first professional brace in a 2–1 victory over newly promoted Burton Albion, including the last-minute winner. In September, Abraham scored his second brace against Sheffield Wednesday, although Bristol City ultimately lost 3–2. He scored a further two goals during the month which saw him named Championship Player of the Month for September. He was also awarded the EFL Young Player of the Month award for September. On 31 January 2017, Abraham scored his 16th Championship goal in the 2–2 draw against Sheffield Wednesday, which saw him break the record of former Fulham striker Moussa Dembélé for the most goals scored by a teenager since the beginning of the Football League Championship era. 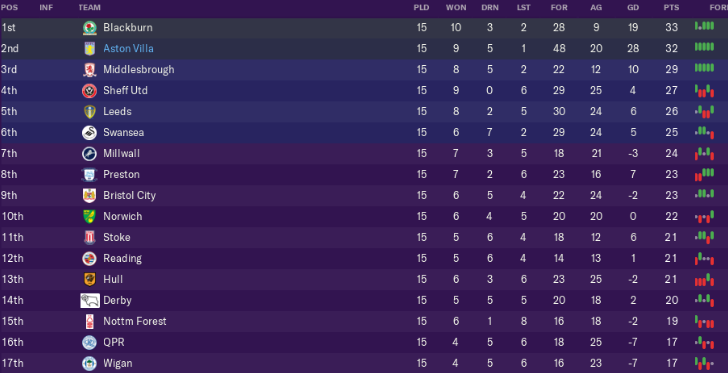 Abraham ended the season with 23 goals to his name, second only to Chris Wood of Leeds United, as City completed the campaign in 17th position, thereby avoiding relegation. His performances throughout the season also earned him Bristol City's Player of the Year, Young Player of the Year and Top Goalscorer awards. In doing so, he became the first ever player to earn all three awards in the same season. 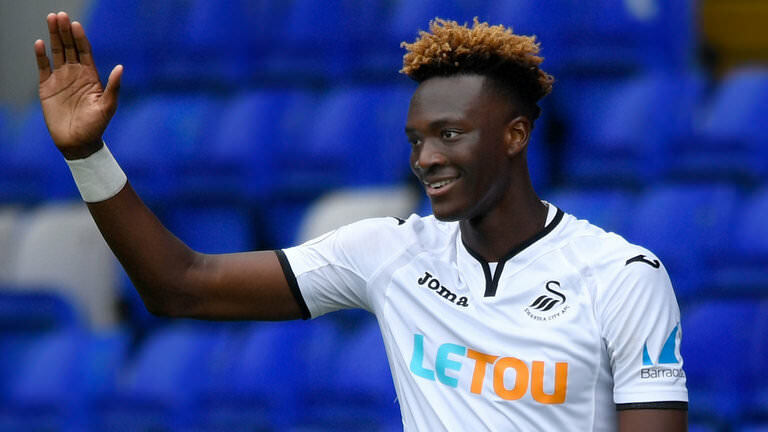 On 4 July 2017, Chelsea announced that Abraham had signed a new five-year contract with the club and later that day he joined fellow Premier League club Swansea City on a season-long loan. Swansea paid Chelsea £5,000,000 for the privledge. He made his debut for the club on 12 August, starting in a 0–0 draw with Southampton. Ten days later, he scored his first competitive goal in a 4–1 League Cup win over League One team Milton Keynes Dons before scoring his first Premier League goal in his next match, opening the scoring in a 2–0 victory over Crystal Palace. On 14 October 2017, he scored his first brace for his club in a 2–0 win over newly promoted Huddersfield Town which secured Swansea their first home win of the season. Both club and player struggled for form thereafter, however, and by the end of the year Abraham had failed to add to his goal tally. On 6 February 2018, having gone 825 minutes without a goal, Abraham returned to the scoresheet when he netted twice and assisted a further two in an 8–1 FA Cup Fourth Round replay win over Notts County. The result was also Swansea's biggest ever win in the competition. On 7 April, he scored his first league goal since his double in October. His goal earned Swansea a late draw against West Brom and edged the club a point closer to safety from the relegation zone, though they were ultimately relegated on the final day of the season following a defeat to Stoke City. Abraham scored eight goals in 39 appearances across all competitions during his loan spell with the club. 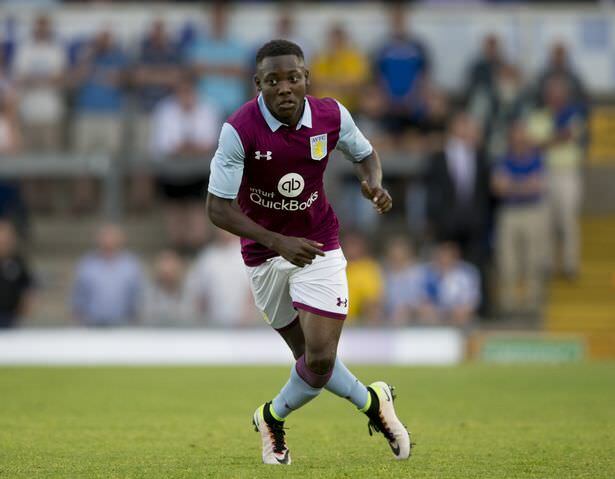 Abraham then moved to Aston Villa on loan for the 2018-19 season. With a return of 13 goals in 16 games and 5 assists, Villa manager Wenger revealed there is a call back clause in the January window which he thinks Chelsea might invoke. If I was Chelsea I would call him him back! said Wenger. He is one of the hottest properties in this division at the moment and I would love to buy him at the end of the season but then we have atleast three loanees that we would love to make permanent in Yannick (Bolasie) and Ademola (Lookman) but we do not have that sort of money. When you have a striker in Abraham combining so well with Jonathon (Kodjia) then ofcourse you want him to stay. I will phone and have a chat with Mr. Sarri to see if we can keep Tammy for the season and maybe beyond, lets wait and see. Well, what a month Aston Villa have had! Ademola Lookman came back from injury, Alan Hutton came back from injury and Rushian Hepburn-Murphy as started to show why he wants to play in the first team this season. Lookman, Abraham and Bjarnason scored most the goals this month. More on Rushian Hepburn-Murphy later though. This month saw Villa take on West Brom with an astonishing result. Lets look at the results this month. It started awfully, Ipswich to be fair played a good game but Wenger used two subs in the 27th minute but it was not enough. Jonathon Kodjia’s penalty miss was awful too. After the match Arsene Wenger praised the style in which Ipswich played and claimed this would be a wake up call for his squad. It was a wake up call as Villa face off against Stoke in a full blooded derby. This match was end to end and with a 1-1 draw nobody wanted the match to end. Tammy Abraham continued his great goalscoring form but it was the performance of Yannick Bolasie that caught the eye. Arsene Wenger has tried to make sure crosses are at the forefront of Villa’s play and this goal was no exception. Abraham has scored half of his goals from crosses this season using his head. 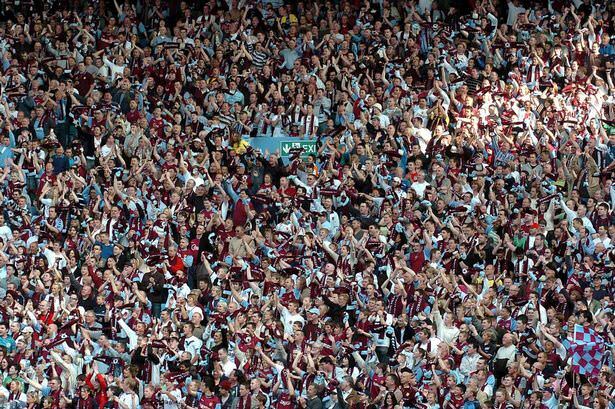 Villa then absolutely demolished West Brom at Villa Park infront of there first sell out this season as fans watched there club go top and did it in style. It was Ademola Lookman that stood out though. Lookman, who had been pretty average prior to getting injured finally showed his potential by scoring two and having a say in two more. His link up play with Neil Taylor was the pleasing aspect. It was however Rushian Hepburn-Murphy who arrived, he was part of everything when coming on in the second half and got a well deserved goal. West Brom manager Lee Johnson praised Villa afterwards. 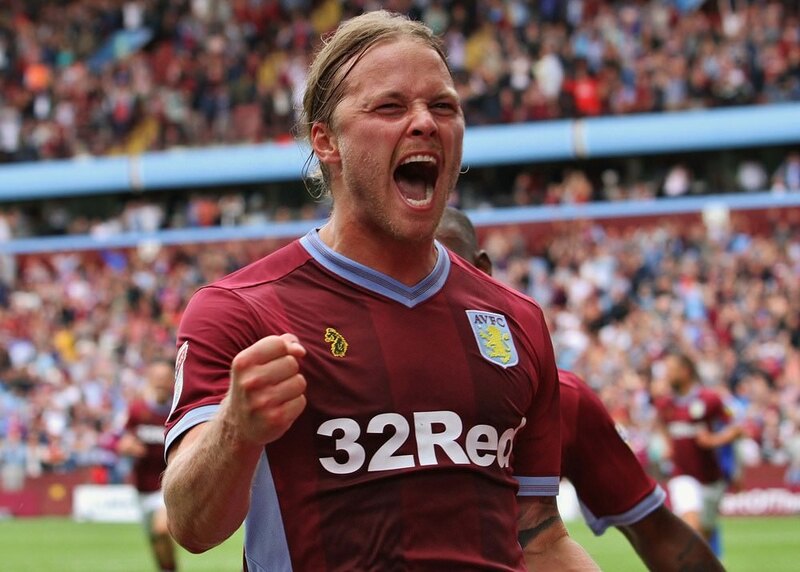 Full credit to Aston Villa, they were awesome today and will no doubt go up as Champions this season. Rushian Hepburn-Murphy’s performance earnt him a starting place against Preston, Scott Hogan was named on the bench along with Jonathon Kodjia. Murphy was the man who played the through ball to Abraham to open the scoring on two minutes. Abraham still carrying on his form, will be be at Villa after January? Birkir Bjarnason had forced his way back into the Villa with Harry McKirdy out and Joe Allen not really living upto his £12.5m pricetag and it was the Icelandic midfielder who made it 3-0 after Hepburn-Murphy had bagged another goal. Villa were strengthening there position at the top of the table. Next up for Villa was Hogan’s old club Brentford. He was named on the bench as Hepburn-Murphy kept Kodjia out of the team again and this time Bedaeu came into the team again showing that Wenger is bringing young talent into the team from the youth academy. Brentford got a footballing lesson again and a Lookman brace either side of a McGinn long range drive. The forth goal though was special. Scott Hogan, who has just started once all season came on and scored the 4th goal against his former club ending a great month for The Villans. When you score 62 goals before December, there would be something wrong and in Aston Villa, they have scored over 20 goals more than the next highest scorers in Sheffield United and Swansea City. Aston Villa are 5 points clear but they played on the 30th of November and the rest play on the 1st of December. Sheffield United and Blackburn have been yoyoing 2nd and 3rd place. Aston Villa should in theory now pull away because there is so many goals in this Villa side. Bristol City are unbeaten in 5 games and have moved to just outside the playoff places. Hepburn-Murphy, this month dislodged Jonathon Kodjia from being an automatic choice to play alongside Tammy Abraham and scored two goals but it is his work rate and interchange he has discovered with Ademola Lookman, who was very close to pinching this award. The young English striker though will now be looking to showcase his skills by becoming a permanent fixture in the Villa team. A poor month to begin with, but that quickly changed which shows the character of the squad. A massive win over a local rival in West Brom too. Glad to see RHM getting minutes on the pitch and repaying you with some good performances. Strong start to the season indeed. Top of the league? Pffft, should be higher. 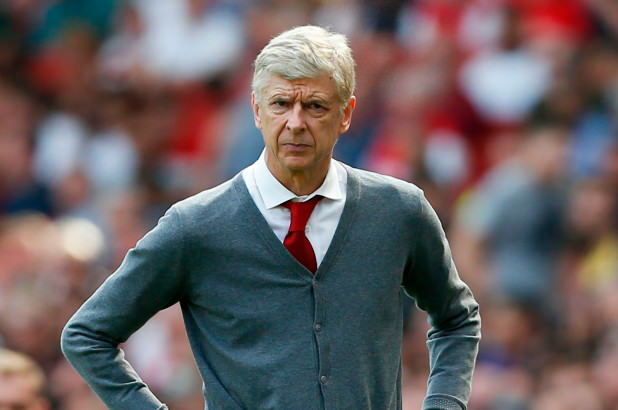 You are reading "Arsene Wenger - A Villa Tale".